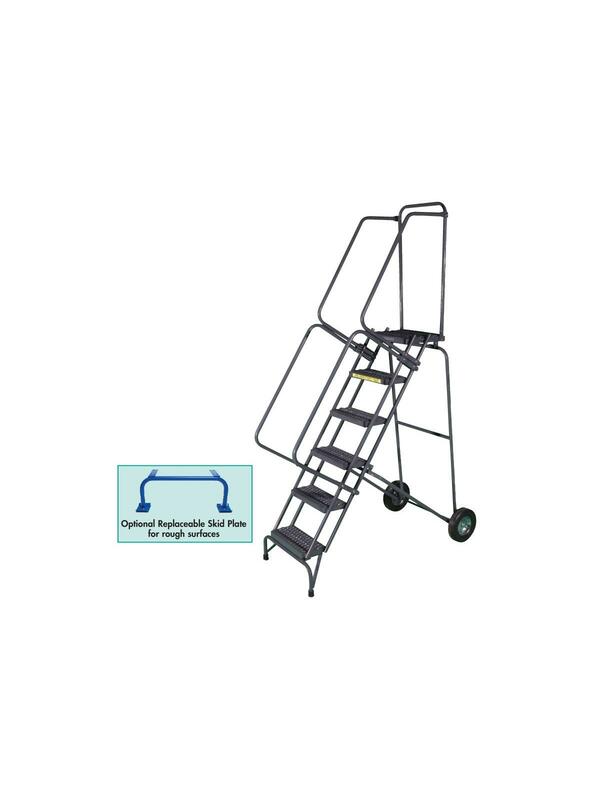 Ladder can be easily folded for storage or transportation. Provides tilt and roll mobility when set up. Features wheelbarrow style portability. Tread types available: Expanded Metal (X), Serrated Grating (G) and Perforated Step (P). Large 10" rubber wheels roll easily on rough surfaces. Rugged 350 lb. capacity. Built to OSHA and ANSI standards. Gray powder coat finish. FOB Shipping Point. 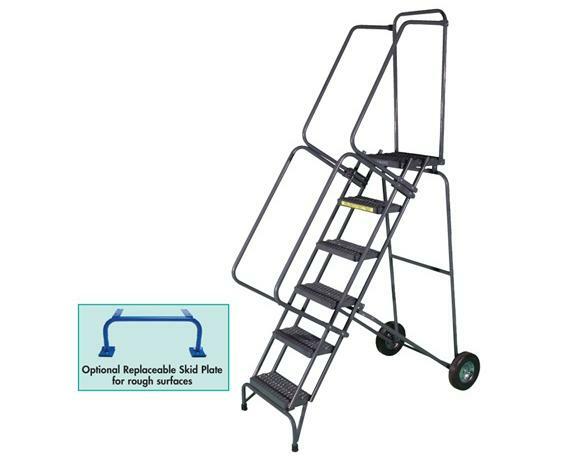 Ladder ships unassembled for freight savings. See Related Items tab for Fold-N-Store Rolling Ladder Options.